David Learn – Florida Authors USA – F.A.I.T.H. 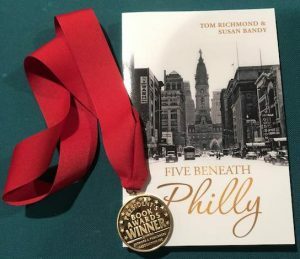 Lake Buena Vista, FL (8/6/2018) –The Annual 2018 Florida Authors and Publishers Association President’s Book Awards recognized Five Beneath Philly by Susan Bandy & Tom Richmond, in the category of Historical Fiction, as a Goldmedal winner for content. The event was held on Saturday evening, August 4, 2018 at the Hilton Orlando Buena Vista Palace in Buena Vista, Florida. 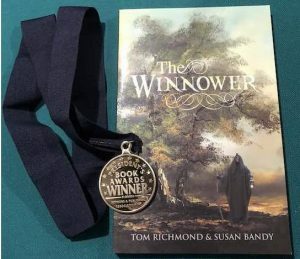 The two authors were also recognized by the Florida Authors and Publishers Association at this event with two Silver Awards in the Book Cover Design Category for 2018. 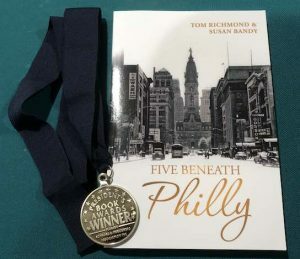 Their books Five Beneath Philly and The Winnower were awarded Silver Awards for their small book (9” X 6”) cover designs. 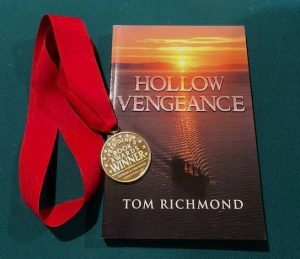 In addition, their book, Hollow Vengeance, written by Tom Richmond with contributions by Susan Bandy and edited by Bandy was awarded the Bronze Award in the Historical Fiction Category for 2018 for content.